Amy is currently a graduate student at New York University earning her MPH with a concentration in Global Health Leadership. She also earned her MSW from Simmons College, where she took her first trip to Uganda to work with local NGOs around issue related to HIV/AIDS and women's rights. 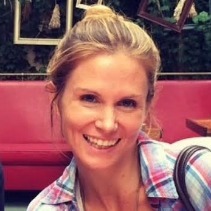 Amy has several years of experience working as a social worker in various settings such as hospitals and homeless shelters. Her experiences motivated her to want to learn how to research, evaluate and create programs to provide support to vulnerable populations. She has taken the time back in school to explore many areas of public health and is currently interning at the NYC Department of Health and Mental Hygiene assisting with research around foodborne diseases as well as working as a Researcher Assistant with the NYU EMPOWER lab, focusing on women who have been victims of sexual trafficking and abuse. After her fellowship, Amy wrote: "This fellowship was not always easy but 'easy' things don't help you learn or push yourself. Over the course of the summer I've learned a lot about myself personally and professionally and I will take those lessons with me for the rest of me life." What a difference a week makes! 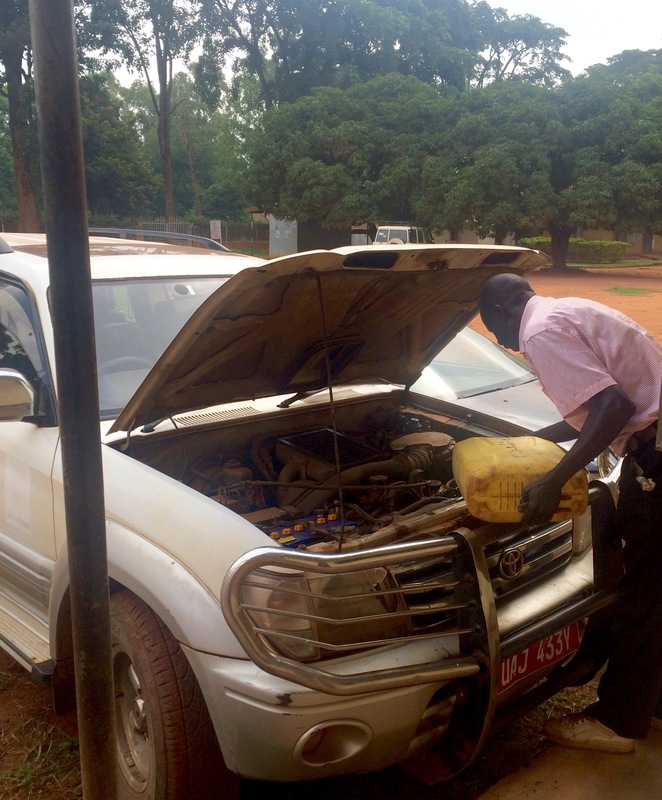 Last week Patrick and I were at a crossroad with what to do for our summer project due to the fact that many schools in the Gulu Municipality seemed to be making improvements and making their schools more accessible. Our toilet didn’t seem to be needed in these schools like we thought it would so we decided to shift our focus to more rural schools and assess their needs. First things first was fixing the van so that we could get out of the municipality (although it would have been quite an adventure going through some of those rural roads on Patrick’s motorbike.) In case you don’t know about the roads in Uganda, they’re pretty bad. Many of the main roads have gotten fixed but driving through the rural parts almost feels like an arcade game where you constantly have to swerve to avoid potholes and ditches. Our driver, Walter, has some major driving skills and I’d love to see him take charge driving through NYC streets. While driving on the roads I already started to think about the trek that children have to make to get to school and the fact that a physical disability would make it that much harder. It’s clear after seeing the first school that the rural area is DRASTICALLY different from the schools in the Municipality. All of the building structures have been eroded, many schools didn’t have ramps for wheelchairs and if they did they weren’t up to standard. There were no policies regarding children with disabilities, no special needs teachers and no teachers that knew sign language (each school we have seen so far has at least 2 students with hearing impairments but some had over 10). And don’t even get me started on the toilets. 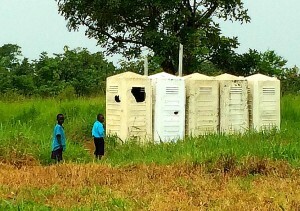 One school actually only had porta potties that were used at the IDP camps. So if any children with disabilities were able to make the trek to school they still had to work twice as hard to get around and use the bathroom. As you may imagine, many teachers reported children with disabilities have been dropping out. So, good news for the project bad news for children with disabilities in rural areas. But that is what the GDPU is here to help with. All of the schools want help. They don’t know what they don’t know about disabilities and want to learn. Each Head Teacher was happy to see us and hear about our plans to start making some improvements in schools. One head teacher at Awach Primary schools was especially inspiring. He was a strong advocate for inclusiveness and creating an accessible environment. He shared a story and introduced us to a young female student who had lost her leg after it was shot during the insecurity in Gulu several years ago. The head teacher met with her mother and was committed to helping this young woman get an education so he had her come and board at the school so she would not have trouble getting there. He has worked on creating an inclusive environment for her by educating the teachers and students. The young woman is doing well at school, lists english and math as her favorite subjects and says she hopes to become a doctor one day.